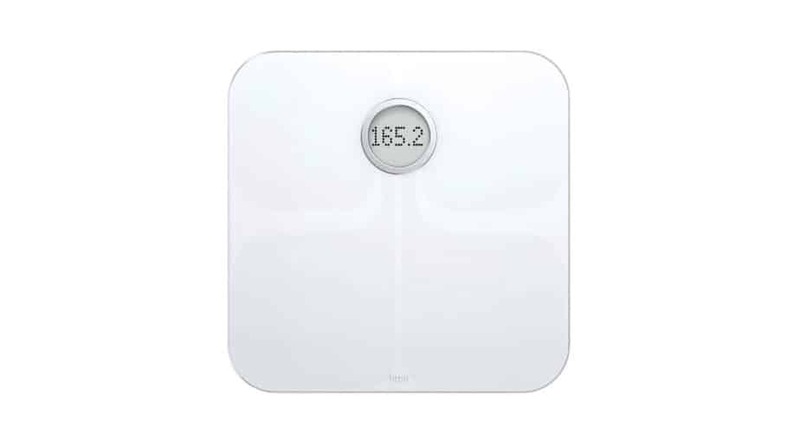 Our champion of smart bathroom scales is the Fitbit Aria 2. This scale is dubbed our overall winner because it ticks all the boxes for the everyday individual who’s trying to stay healthy. However, for those die-hard nutritionists and fitness fanatics, the best smart scale for weight loss is the Yunmai Premium Smart Scale. When it comes to health-conscious expecting moms, QardioBase 2 Wireless Smart Scale is the best smart scale for pregnant women. While it tends to be part of human nature to fear scales, they now have the power to be one of your body’s most trusted advisors. It’s no longer about a single weight measurement, which can leave you standing vulnerably atop the scale, unsure whether the numbers are good or bad. Smart scales actually tell you if your body is healthy or, if it’s not, they can offer ways to improve. Technology has turned bathroom scales into coaches rather than just judges. From measuring body fat to monitoring nutrition needs, these scales are basically personal trainers. With seamless integration for the Fitbit app and its state-of-the-art fitness tracking, the Fitbit Aria 2 is an easy choice for our overall winner. It offers support for up to 8 individual users, and it looks pretty slick, too. 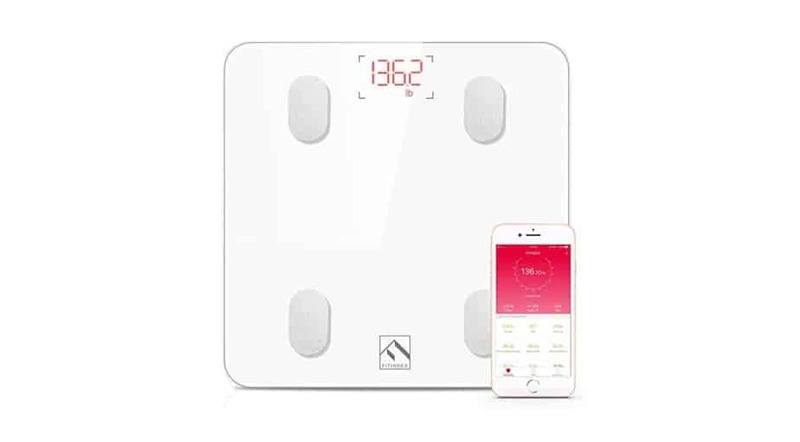 Yunmai is an industry-leading smart scale that stores information on body fat, BMI, muscle measurements, hydration needs, bone mass, and more for up to 16 people. 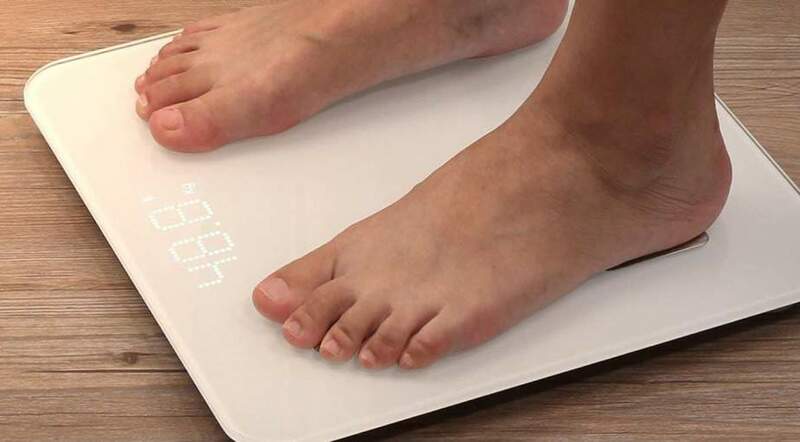 This scale can also connect to Fitbit, Apple Health, and other wellness apps. Designed for families, this smart scale has a special mode for children and mothers-to-be. There’s also a safe setting for individuals with pacemakers. Available with integrations for both iPhone and Android apps, smart scales help you stay on track with your personalized health regimen. 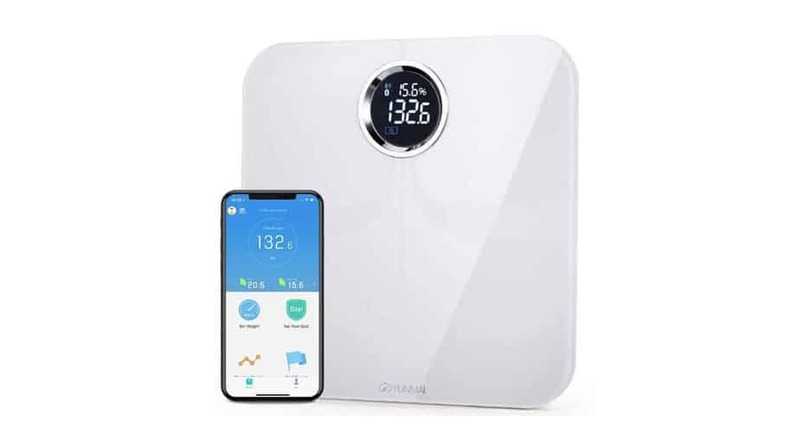 Once hooked up to Bluetooth or Wi-Fi, these scales can measure not only your weight, but also your body fat percentage, Body Mass Index (BMI), muscle measurements, hydration status, bone mass, nutrition needs, and more. While some do cost a pretty penny, quality smart scales also sell for as little as $20. This all might seem intimidating, especially if you’re someone who’s had the same old-fashioned Taylor scale for the past 10 years. But the thing is, mechanical scales aren’t always as trustworthy as they seem. It’s common for mechanical scales to be off by 5 pounds or more, especially if they haven’t been correctly calibrated. So even if you’re not a major health guru, smart scales are still the best bet when it comes to tracking your weight. Smart bathroom scales are like having an Alexa for your body. The scale is hooked up to your phone’s Bluetooth or home Wi-Fi network, and the data it collects on your body fat, BMI, water weight, and nutrition levels are stored onto both the scale and an accompanying app. 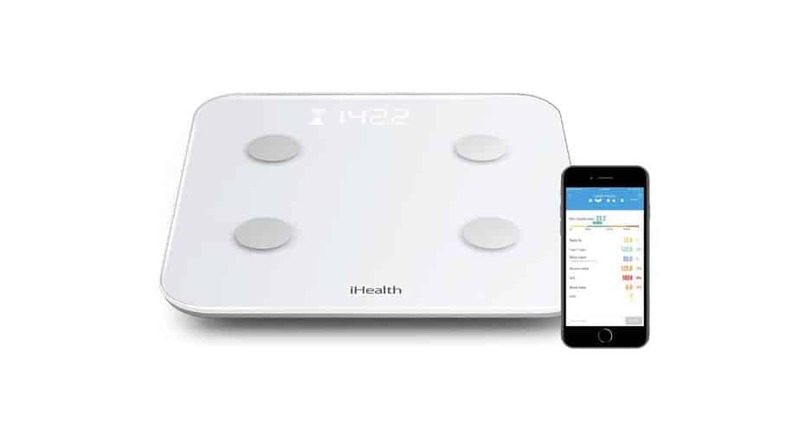 Some smart scales have proprietary apps from the manufacturer, and others cater to various third-party apps like Google Fit, Apple Health, and MyFitnessPal. You’re probably curious about how this all works. How can a bathroom scale know so much about your body just by having you stand on a metal platform? It’s all thanks to a little thing called BIA, or Bioelectrical Impedance Analysis. This system uses electrical currents to measure the body’s overall health. 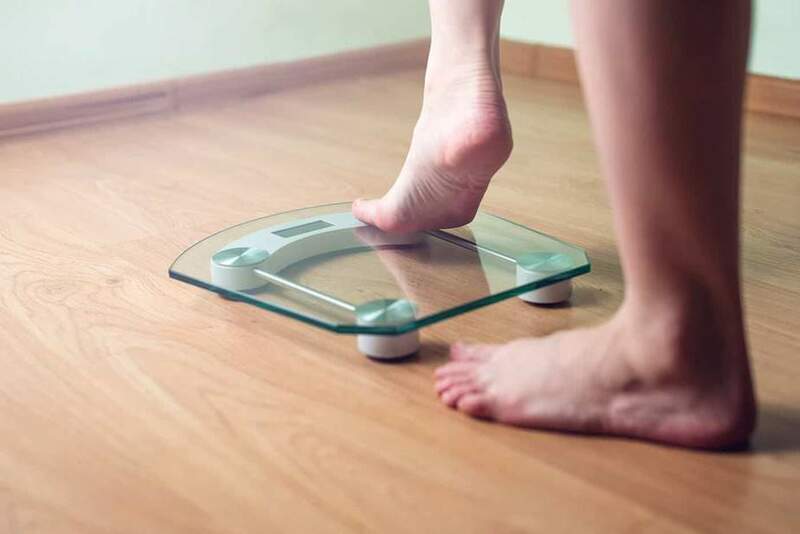 Once you step on the scale, a current is sent from the bottom of your feet through to your muscles, joints, fat, and all the other parts of your body. By testing the speed at which this electrical current travels, the smart scale can tell what parts of your body need improvement and which ones are in tip-top shape. The current travels more slowly through fat than through muscle. Gender, age, and height are also non-health related factors that affect the speed of the current. But the scale, being the innovative little machine it is, asks for that information in advance so that it can take these potentially interfering factors into account. Each calculation is personalized for the individual standing on the scale. The idea is that your smart scale functions as a health and fitness coach, rather than just telling you your weight — which, ultimately, doesn’t mean much in terms of your health anyway. Similar to getting an x-ray or walking through a security checkpoint at the airport, you don’t feel this electrical current, so there’s no reason to fear getting shocked. However, the system can be harmful for young children under the age of 10, women who are pregnant, or anyone with a pacemaker. Luckily, there are smart scales with special settings that accommodate those circumstances — so there’s no need for anyone to be left out of the fun. Your needs as an individual should be taken into account when choosing a smart scale. In addition to pregnancy or having a pacemaker, you should also be thinking about what your health and fitness goals are. Athletes, marathon runners, and personal trainers might want a scale that’s a little more high-tech and includes not only body fat, BMI, muscle mass, and nutrition data, but also measures air quality, hydration, and heart rate. Others are looking for a scale that will encourage healthy living among their family members. If that sounds like you, look for a scale that provides the basic health metrics, has support for numerous users, and includes a family-safe setting for younger kids. The electrical currents and app integration might all seem a little daunting at first, but don’t let that scare you off. There’s a reason these smart scales are becoming so popular: Your body is so much more complex than old-fashioned analog scales can account for. Think about when you go to the doctor and get a physical. There’s a lot of steps that go into making sure your body is working the way it should. Smart scales aim to simplify that process and empower you to take better care of your body. While a smart scale certainly shouldn’t be used as a replacement for doctor check-ups, it can help you understand what your body needs everyday rather than relying on someone else to tell you a couple times a year. And while personal trainers can charge hundreds of dollars, these smart scales only cost between $20 and $130. They’re one of the most affordable ways to help you live healthier. Because smart scales are built to deliver personal, unique results for each individual, it’s extremely important to choose a scale that has the features you need. Each scale is designed for a specific purpose. Choosing the wrong scale could mean hindering your ability to reach your health and fitness goals. Battery life: You don’t want to be changing batteries every week. Technology integration: The apps should be easy to use and compatible with the technology at your disposal. Don’t pick a scale that only partners with an iPhone 7 when you have an older phone or an Android. Design: You’re going to see this scale everyday, so you should like how it looks in your home. The size and comfort of the scale are also important considerations. Measurement data provided: While not everyone will need to know their bone density or water weight, your scale should have the measurements you need to keep track of your fitness progress. Additional features or modes: To make the technology more inclusive, certain scales cater to specific physical conditions, like being pregnant or having a pacemaker. Be sure to choose a scale that matches your needs. You’ve likely heard of Fitbit thanks to the brand’s wristband, one of the most popular wearable fitness trackers on the market. If you already own a Fitbit wristband (or if you want an excuse to buy one), the Fitbit Aria 2 is the perfect addition to your fitness routine. The Aria 2 offers everything that we love best in smart scales: simple smartphone app integration (the scale will sync with data from your Fitbit wristband), detailed health metrics (weight, body fat percentage, body mass index, and lean mass), and support for numerous users (up to 8). Its sleek, minimalist design means that it’s stylish as well as functional. The only real complaint we have about the Aria 2 is that it occasionally requires firmware updates from Fitbit, which can be an annoyance. This is a minor issue, though, and one that we’re willing to put up with considering how much we love everything else about the product. This is a scale for the whole family. The Withings Body+ works with up to 8 individual users and, uniquely, it has a “Baby Mode” and “Pregnancy Mode” to accommodate young and growing families. 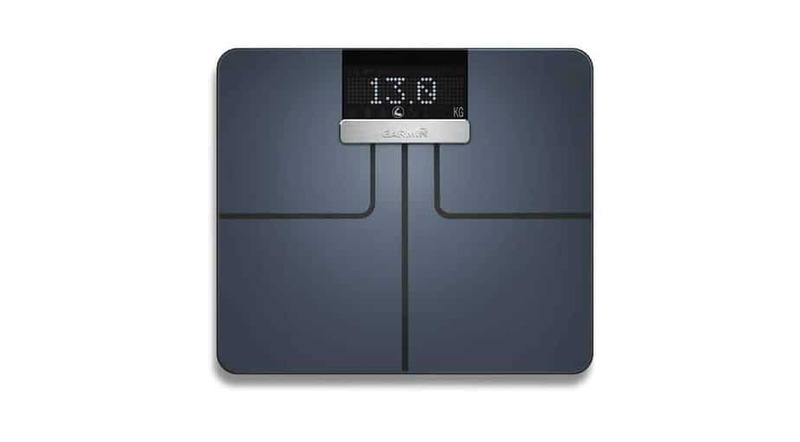 This scale is also enabled with both Bluetooth and Wi-Fi for versatile connectivity. Withings’ scale is not only highly compatible with different age groups, but also with over 100 health and fitness apps, including MyFitnessPal, Apple Health, Fitbit, Google Fit, and more. The scale’s graph-like design guides users to the correct stance so the scale can more accurately measure weight, body fat, and water percentage, along with muscle and bone mass. Using iOS 8 and Android 5 or higher, Withings also provides nutrition tracking so users can set a weight goal and manage their daily calorie budget. While the functionality can be a bit overwhelming for some (do we really need to know the weather forecast when we get on the scale in the morning? ), if you love smart home gadgets, Withings is an excellent choice. In addition to its 9 months of battery life, easy-to-read nighttime screen display, and Wi-Fi-based connectivity, Garmin’s smart scale has a lot to offer when it comes to being your in-bathroom personal trainer. Following its “full circle of wellness” philosophy, Garmin records health stats on Garmin Connect, the company’s free app that connects users with other people in the Garmin community. Out of all the smart scale apps, Garmin’s is one of the most user-friendly and easy to read. It clearly lists your measurements for body weight, BMI, body fat, water percentage, bone mass, and skeletal muscle mass. The app also shows you where you rank among those of the same height, age, and gender. Because it’s one of the more simple smart scales, it’s a good fit for those who are just starting out on their fitness journey and don’t want a lot of overwhelming statistics. 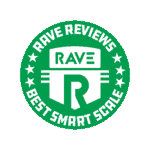 That being said, it is a little off-putting that a smart scale which leans toward beginners is one of the pricier options on our ranking. The scale also only records one measurement a day, so it’s likely not a good fit for athletes who want more frequent monitoring. For all you soon-to-be moms out there, this is the smart scale we chose for you. While this scale does calculate muscle density, body fat, water weight, and bone mass, it aims to help the user focus less on the numbers and more on being happy and healthy. This scale provides the option to display happy and sad emojis instead of numbers. This feature is especially appealing for parents who want to teach their kids a healthy lifestyle without focusing too much on concrete numbers. It’s also a plus for pregnant women who may not want to know how much they actually weigh, just that they are providing a healthy haven for their growing baby. Another feature we love about this scale is its energy efficiency. QardioBase 2 doesn’t run on batteries and only needs to be charged about once a year, depending how often you use it. Though this scale widely appeals to mothers and children, it’s worth noting that Men’s Fitness rated QardioBase 2 as one of the top smart scales in 2017. “Greater Goods” is certainly a fitting brand name for this smart bathroom scale. While it may not have everything a pro athlete needs for a fitness regimen, this is the right choice for someone looking to improve their health without overwhelming themselves with too many specifics. And unlike other Bluetooth scales, the Greater Goods smart scale includes a 1:1 pairing, so each user’s data results are kept private. This scale, which measures weight, BMI, body fat, lean mass, water weight, and bone mass, has been known to last upwards of 5 years. It automatically detects up to 8 users and is compatible with Android 5 or newer and iPhone 5S or newer, as well as with any iPad released in 2013 or later. But unlike some other scales, you don’t need another device to see your data — it appears right away on the LCD screen. 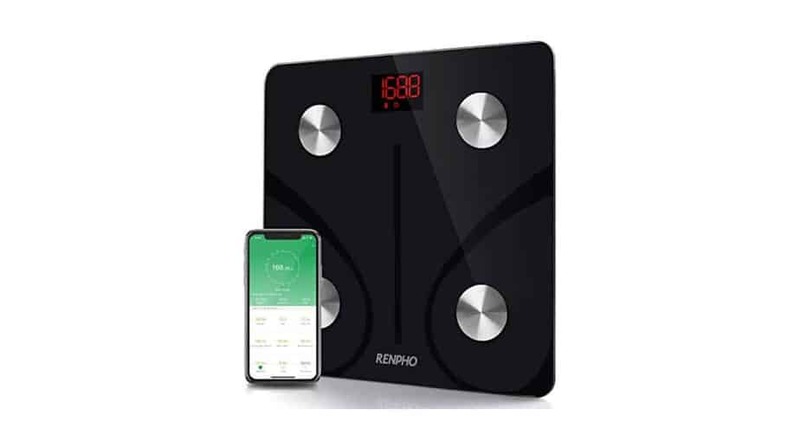 This is definitely one of the more durable smart scales on the market, with a large, tempered glass surface able to hold up to 400 pounds. It has a sleek black design that could match pretty much any decor. Although it has less functionality than others on our list, it’s still a worthy choice, especially for its price point. This smart scale, which syncs with Apple Health, Google Fit, and the Fitbit app, is an affordable option for nutritionists and serious runners. The scale records 13 measurements in total, including body weight, BMI, body fat percentage, water percentage, skeletal muscle, fat-free body weight, muscle mass, bone mass, protein, basal metabolism, subcutaneous fat, visceral fat, and body age. If you want to know just about everything there is to know about your body, this is your bathroom scale. Supported for Android 4.3 and iOS 7 or above, RENPHO’s free app adds to the affordability and value of this scale. The product is FDA-certified and can store information for an unlimited number of users. 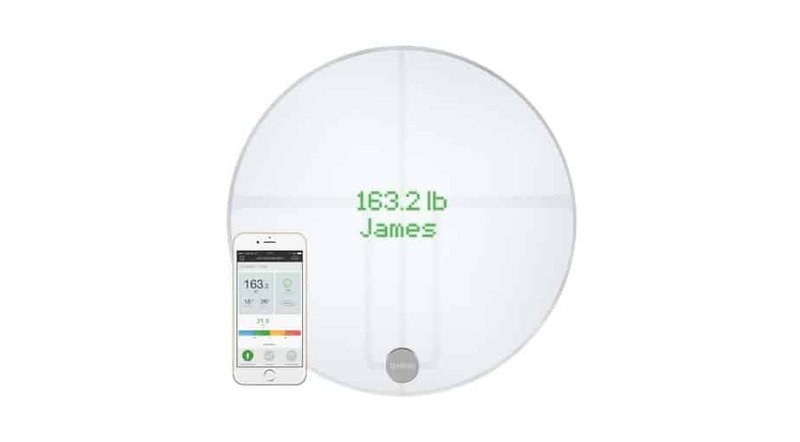 You have the option to weigh yourself any time, even while your phone is disconnected, and the data from the weigh-in will sync to your device once you do reconnect. This is a beautiful scale that would fit well in any home. However, it’s worth noting that there is no safety setting for those with special health conditions and concerns. Though it measures all kinds of metrics, the information doesn’t display on the scale itself — you’ll need to look at your phone to see it. 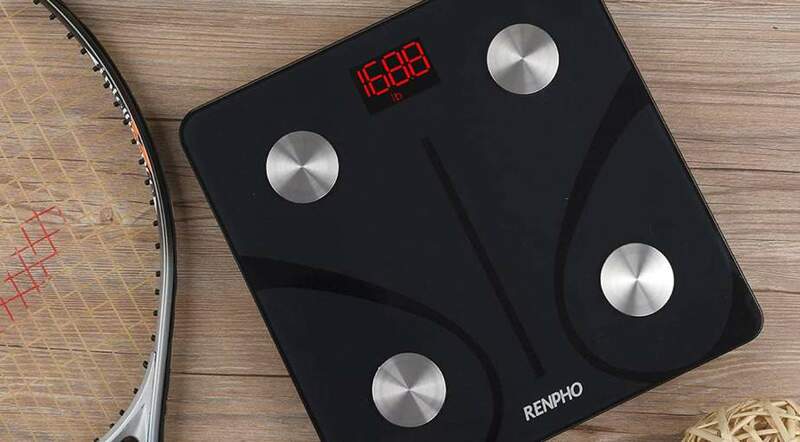 Like RENPHO, the FITINDEX smart scale also features 4 electrode feet sensors to help with better measurement precision. Calculating body fat, water percentage, muscle mass, BMI, BMR, bone mass, and more, this scale is highly recommended for both bodybuilders and junior fitness fanatics. It accommodates an unlimited number of users, so, as long as everyone is over the age of 10, the whole family can use it to take steps toward a healthier lifestyle. 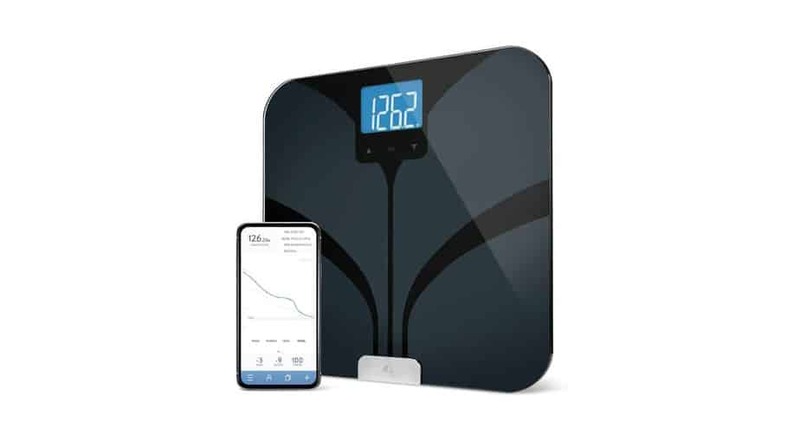 The maximum weight for this scale is just under 400 pounds, and the body fat percentage measurement is intended for users between 10 and 80 years old. The scale requires an Android 4.3 or an iOS 7. This is the best smart scale for those who are looking to lose weight. Up to 16 unique users can track their weight loss progress as Yunmai measures their body fat, BMI, muscle, hydration needs, protein intake, bone mass, and more. Yunmai has over 5 million users and counting. Before we get into all the details, we just have to point out how pretty this scale is. Everyone has their own tastes, of course, but if you ask us, the rounded edges and circular LED screen give this smart scale a futuristic look that keeps it ahead of the times. The “10 body measurements in 10 seconds” feature is proof that the scale isn’t just looks, either. Yunmai is designed for adults: It doesn’t allow more than a basic weight measurement for anyone under the age of 18. The scale does support Fitbit and Apple Health, although it isn’t compatible with Apple Watch or desktop. iHealth Core’s highly sensitive scale makes for some of the most accurate readings on the market. Not only does this scale take into account your height, weight, age, and gender when establishing your health metrics, it also recognizes the temperature and humidity in the room. Unfortunately, this also means the scale is a little higher maintenance. It requires your feet to be totally dry and the room to have between 40 and 60 percent humidity. But that sensitivity level pays off. iHealth’s smart scale automatically recognizes who you are the moment you step onto the weighing platform. If 2 people have a similar weight, they can just check their user number displayed on the screen. 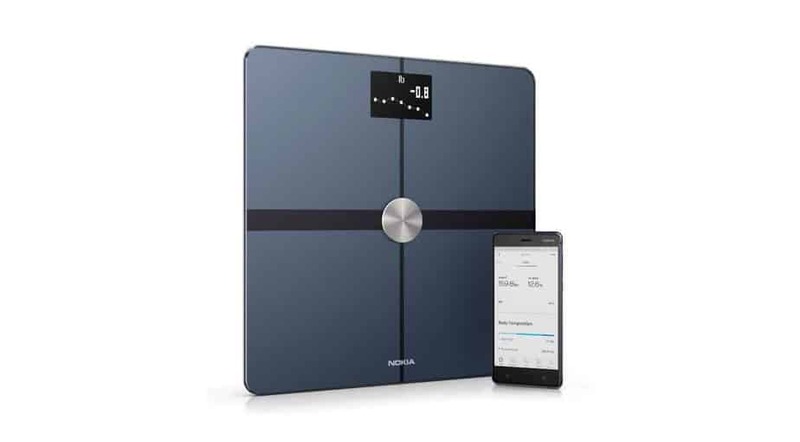 Measuring body weight, body fat percentage, lean mass, BMI, body water, visceral fat rating, muscle mass, and bone mass, this smart scale registers weights anywhere between 11 and 400 pounds. It’s compatible with standard Wi-Fi, iOS 8, and Android 4 or higher. Because of its somewhat finicky maintenance requirements and its high price tag, it comes in at ninth place — but if accuracy is a top priority, this is a great option for you. While the price does accurately reflect the simplicity of 1byone’s smart scale, 8 different body measurements is still pretty high tech. Plus, the Baby Mode provides an appealing feature to families. Users can also monitor the whole family’s health and fitness statistics on the 1byone health app. Data from the app can also be synced to Apple Health, Google Fit, and Fitbit. 1byone’s comprehensive health index measures body weight, body fat, water weight, muscle mass, BMI, BMR, bone mass, and visceral fat. While there is a baby-safe mode, pregnant women and those with any medical implants are discouraged from using this scale. This smart scale, which closely resembles the FITINDEX, can support up to 10 users, and it’s compatible with iOS 8.0 or Android 4.3. 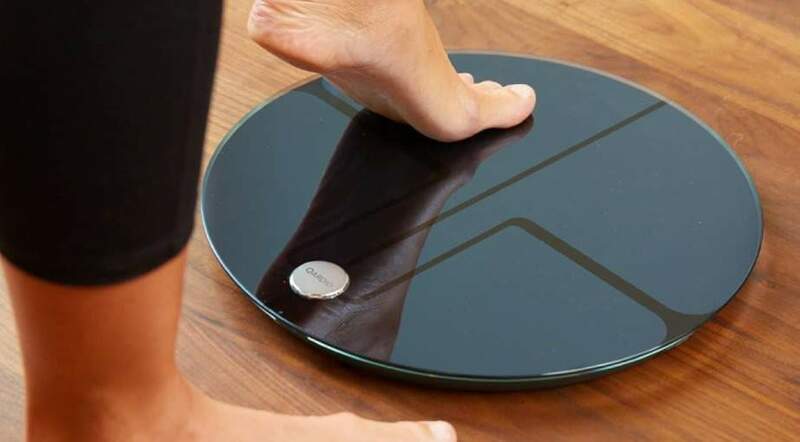 Although it has less functionality than serious athletes will want, this is a simple, straightforward option for those looking to buy their first smart scale. How long do smart scales usually last? Smart bathroom scales should last you a number of years — in some cases, up to 7 years — as long as you are maintaining the device properly. While the scales can do a lot of cool stuff, they are still very fragile pieces of equipment, and there are some common-sense precautions that come with that. It’s important not to drop the scale or jump on it in any way. If you have kids in the house, make sure they know these rules. If you’re going on a long vacation, packing for a big move, or otherwise planning not to use your smart scale for an extended period of time, you can remove the battery inside the device so it doesn’t risk leakage. Despite the scale’s glossy appearance, it’s never a good idea to get it wet. Your smart scale relies on electrical currents and delicate sensors, so water is not exactly its best friend. Avoid using the scale right after getting out of the shower, and make sure condensation doesn’t build up on the scale during a nice steam. We’ve come a long way since the age of mechanical scales. Smart scales show not only your weight, but also very specific details about your body’s well-being, including fat and water weight percentages. Some even measure the cleanliness of the air you breath. But how accurate really is all that information? Despite all their newfangled technology, these scales are first and foremost built for accuracy. When it comes to measuring weight, they are generally more reliable that analog scales. To find your weight, the scale sends an electrical pulse through your body once you step on the platform. The speed of the current traveling through your body is what the scale uses to calculate your weight as well as your BMI, muscle mass, water weight, and other metrics. Although they are far more sophisticated than analog scales, smart scales are not all-knowing machines, and shouldn’t be treated as such. Each scale will likely require you to manually input certain characteristics about each user, such as age, gender, and height. These user profiles must be accurate in order for the scale to give a trustworthy reading. Are there any risks that come with using a smart scale? For most people ages 10 and up, the electrical current that smart scales use is perfectly safe. There’s no electrical shock or uncomfortable sensation that comes with stepping onto a smart scale. However, young children, pregnant women, or anyone with a pacemaker or special fitness need should exercise caution when using a smart scale. Luckily, there are certain smart scales that accommodate children, expecting mothers, and anyone with unique physical needs. Smart scales like the the QardioBase 2 and the Withings Body+ Body Composition Scale have pregnancy settings and “Baby Modes” for pregnant mothers and children under the age of 10. What do smart scales measure? Many smart scales stick to a basic 5 or 6 metrics. However, some will provide insight into 11 or 12 body measurements. 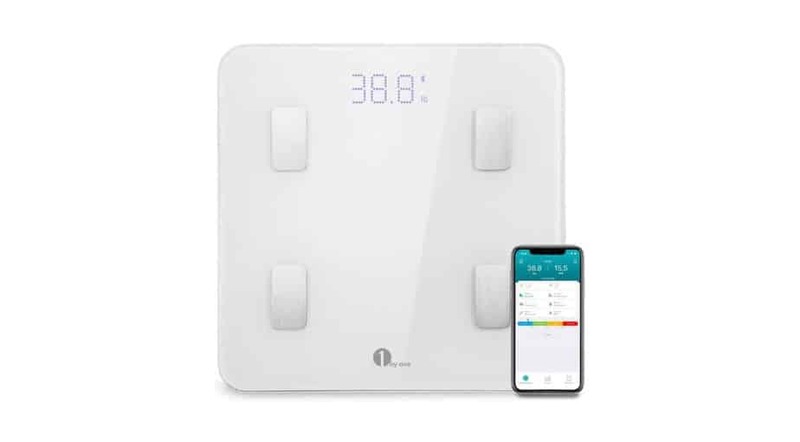 For example, smart scales like the Yunmai and FITINDEX measure not only your weight, but also body fat, water weight, muscle mass, BMI, basal metabolic rate (BMR), bone mass, hydration, protein intake, skeletal muscle mass, and more. Each smart scale has its own unique qualities, and it will be designed for a specific purpose. If you’re a pro athlete, personal trainer, marathon runner, or serious weightlifter, you won’t use the same smart scale as the average person who’s trying to lose a few pounds. What are the best smart scales? Along with diet and exercise, smart scales can be an invaluable part of your fitness routine. They allow you to easily track your weight as well as other important statistics, like BMI and muscle mass. But with all the different models on the market, how do you decide which one deserves a spot in your bathroom? After our analysis, we came up with a clear winner: the Fitbit Aria 2. This product offers support for 8 users, seamless integration with the Fitbit app, and a sleek design that will complement just about any space you put it in. We know that the Aria 2 won’t be for everyone, though — that’s why we’ve ranked and reviewed 9 other excellent smart scales for your perusal. Read our full list up above. Fitbit Versa Smart Watch Replacement Band: This Fitbit replacement band is made with premium stainless steel. It’s comfortable enough for both day and night wear. SENSO Bluetooth Wireless Sport Headphones: These sports earphones keep cord hassles out of the picture. Features include HD sound and a lithium polymer battery that allows for up to 8 hours of uninterrupted use. Tribe Water Resistance Cell Phone Armband Case: Tribe’s full touchscreen functionality and no-slip design make it an extremely efficient and useful accessory for runners and serious athletes. Fit Active Sports Weightlifting Gloves: Fit Active’s flexible and breathable glove design helps prevent injury and provides better grip strength. Victoria Davis is a freelance multi-media journalist. Working for a variety of online and print publications in Wisconsin, California, and New York, Victoria is known for her entertainment enthusiasm and feature reporting.